A quick word on the beta version for Rekordbox 5.4.4 released in the last few days. The most notable feature is that from this version on, Rekordbox will analyze your tracks in the cloud. If there is track analysis data for the same track on our server, track analysis time is expected to be shortened by downloading it. When you analyze tracks on this version of rekordbox, track analysis data is uploaded to our server and shared with other users. The more tracks you analyze, the more users can experience faster track analysis. Let’s share track analysis data for better DJ life! We are planning to include this feature in the subscription plan in the future. I think the benefit of having access to analyzed track data in the cloud will be fairly limited. Pioneer DJ could improve the quality of analysis by aggregating the data and creating “improved” analysis results per track. I imagine that different rekorbox installations will analyze different tracks slightly differently, and combining different results into one “normalized” version could improve the quality of analysis for a given track. 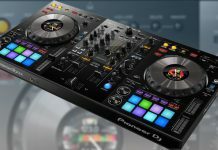 Pioneer DJ can also use the track data to understand which tracks are popular and build services on that. For example, improve their recommendation service by adding data of tracks that are often analyzed together. There are more examples I could come up with, but you get the idea. Ultimately, it’s tempting to say that Pioneer DJ just wants to capture this data to later make money off it, but I rather hope it will go both ways. 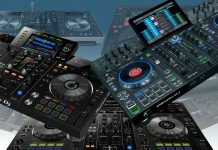 Somehow this data will be a source of income for Pioneer DJ (and it is unthinkable it won’t be considering the worth of Big Data these days…) but on the other hand, it could improve the experience for DJ’s and give them new features that are only possible when having access to aggregated data. If you want to join Rekordbox 5.4.4 public beta, check out the details here.